"Being a mother helps me so much in my practice of orthodontics because I am reminded that each child is very special and deserves the best." I am so thankful that I am fortunate enough to practice orthodontics, especially because it gives me the opportunity to change people's lives. Whether patients come to us to give them the smile they have always wanted, or to allow them to chew their food better, I never get tired of seeing the end result. I enjoy each day working with a fantastic group of women, and my patients and their families make my workday fun and exciting. Being a mother helps me so much in my practice of orthodontics, because I am reminded that each child is very special and deserves the best. My practice philosophy is most importantly to treat every patient like they were my own children. After graduating from Louisiana State University in Baton Rouge, I attended LSU School of Dentistry in New Orleans, where I graduated first in my class. During my four years of dental school, I received the Dean’s Award, the Honors Award, the Baldridge Scholarship, the OKU Award, the C. Edmund Kells Scholarship, and the Kraemer Award. At graduation, I received the awards for Excellence in Periodontology, Fixed Prosthodontics, Occlusion, Physiology, and Neuroscience, as well as the Chancellor’s Award. I had my orthodontic specialty training at the LSU School of Dentistry in New Orleans and earned my certificate to practice orthodontics and dentofacial orthopedics. Currently I serve as a clinical associate professor in the department of orthodontics at the LSU School of Dentistry. I am an active participant in many professional organizations, including serving as the 2019 President of the Louisiana Association of Orthodontists. 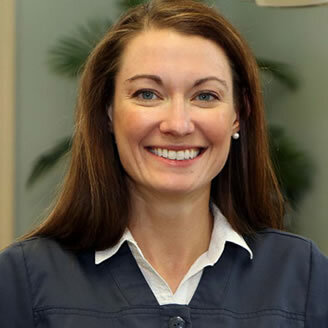 I am board certified with the American Board of Orthodontics and am also active in the treatment of cleft lip and palate children in the Acadiana area. I attend many continuing education courses at both the national and regional levels, as well as at the LSU School of Dentistry. This benefits my patients by enabling me to constantly bring state-of-the-art technology to my practice of orthodontics. I am a graduate of Leadership Lafayette XXIV, and I am an active member in the Junior League of Lafayette. Recently, I was named to the Top 20 under 40 for the Acadiana area! Check out the video here! 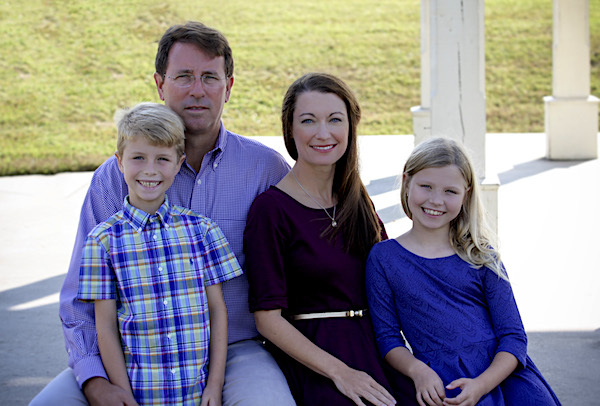 My husband Shane and I have been blessed with many things since moving to Acadiana, including living near our families, attending a wonderful church, and having two children, Georgia and Glen. I couldn’t have chosen a better place to raise our family and practice orthodontics!